Dr. Faiza is a Kuwaiti chemist who studied the impact of corrosion, and the electrochemical behavior of metals. She has collaborated on the discovery of a class of molybdenum-based catalysts that improve gasoline octane without the use of benzyne by-products. In 2011, she received the L’Oreal-UNESCO Award for Women in Science. In 2008, she received the Top Gulf Woman of the Year and the Kuwait Prize in Applied Sciences in 2006. She was the first woman to head a university as the President of Kuwait University from 1993-2001. She is also the Former Vice President of the World Academy of Sciences. 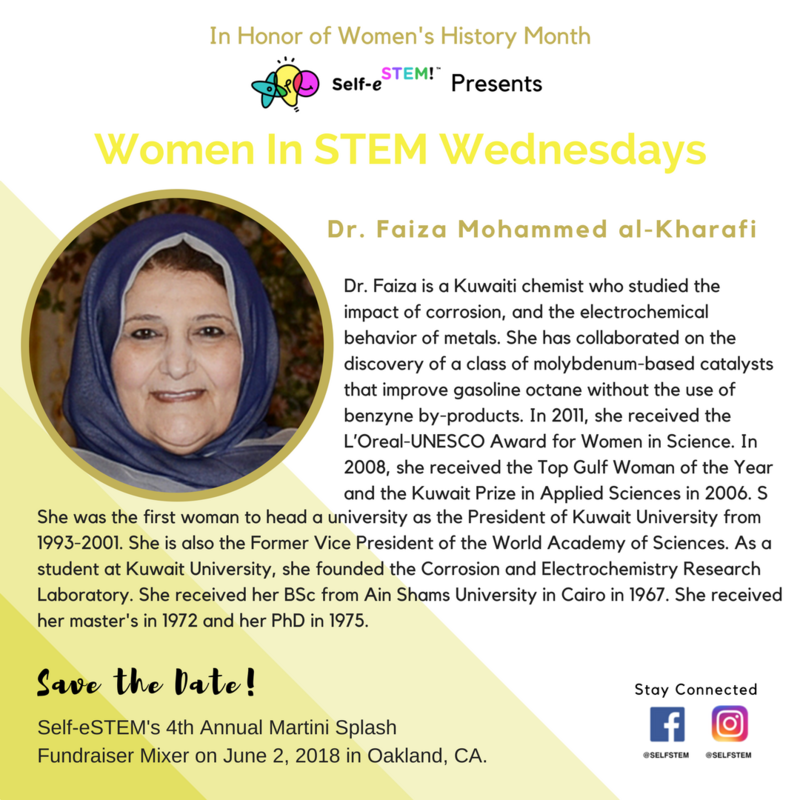 As a student at Kuwait University, she founded the Corrosion and Electrochemistry Research Laboratory. She received her BSc from Ain Shams University in Cairo in 1967. She received her master’s in 1972 and her PhD in 1975.